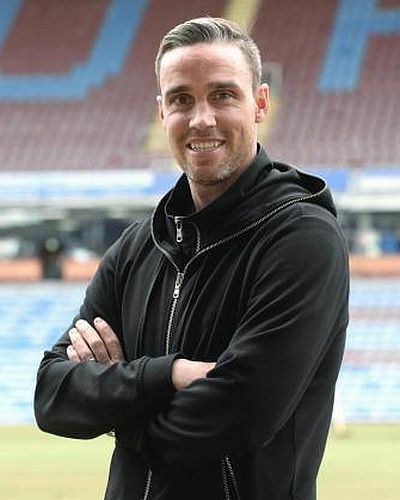 Duff is going into his second season as a coach at Burnley having hung up his playing boots with after his late introduction as a substitute in the title clinching 3-0 win at Charlton at the end of the 2015/16 season. Last season he was given charge of the youth team that had been left in limbo following the departures of both Terry Pashley and Andy Farrell to other areas and has suffered consequently with the club’s worst ever season in the Youth Alliance League. Things turned round last season and only a difficult few weeks in the autumn, when the youth team lost three consecutive games, cost us the title in what was our last season in the league. Even so, it was an excellent season with some good football played and a number of the young players winning a third year scholarship and moving into the under-23s. It always seemed a likely progression for Duff, who has impressed many with the way he’s moved from playing into coaching. He’s now moved to fill Jolley’s role, working alongside Andy Farrell. Duff said: ” It was a bit of a shock with Mike leaving to go and take a job in Sweden, so there was an opportunity to step up which the club have asked me to do and I’m happy to do. “It’s a nice progression into a new career and it probably happened a little bit quicker than I expected, but it’s a career path I want to take and I eventually want to end up managing, but I’m in a good place at the minute. “I’m learning from a good manager, with the new category status at the Academy and going into the better games programme, playing against better players rather than just friendlies all the time. Duff added: “I learned a lot last year about how to deal with other people and which (training) sessions work and which don’t.